Foreign officials and transportation companies are vigilant concerning documentation for children crossing international borders. Those customs officers as well as other authorities both inside and outside the United States are looking for missing children and may ask questions. Make sure you carry the proper identification for yourself and any children traveling with you, including any documents that might be required by the authorities of the country you intend to visit and by US authorities on your return to the US with the child. Generally, persons younger than 18 years of age could be considered children. Proper identification includes, but is not limited to, a valid passport for the child when traveling outside United States. 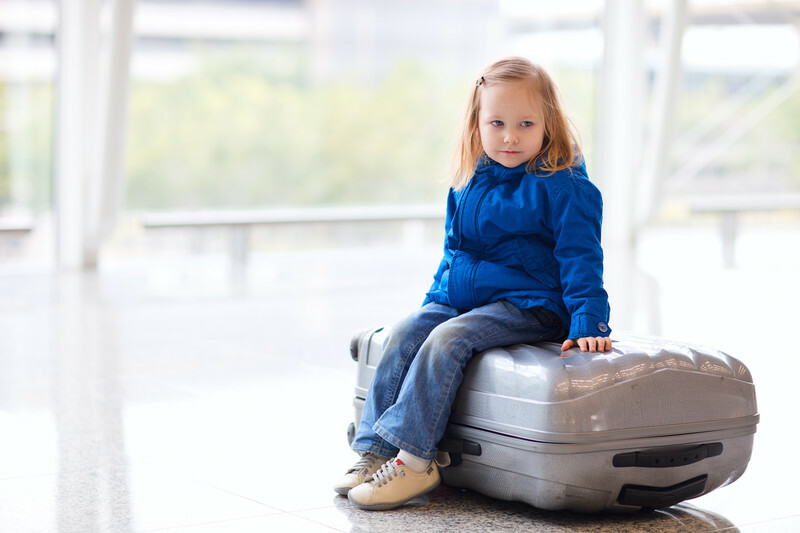 Should the child be traveling without one or both of the parents it is advisable to obtain a notarized consent letter from the parent who will not be present at the airport. We can assist with the notarization portion of these letters but we cannot assist in their drafting as we are not attorneys. Please perform a quick Google search for templates.